iconic Memorial. Currently in the charge of the Parish Council, it attracts interest from residents and visitors alike and now, with this board adjacent to the Memorial, all can all be fully informed of its important history. 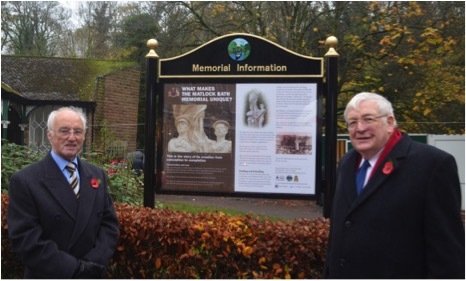 Pictured by the information board are Mike Greenan and Charles Beresford, residents of the village and members of the WW1 project committee. Charles, a writer and local historian said that the Memorial is one of the finest and the village should take great pride in its heritage.